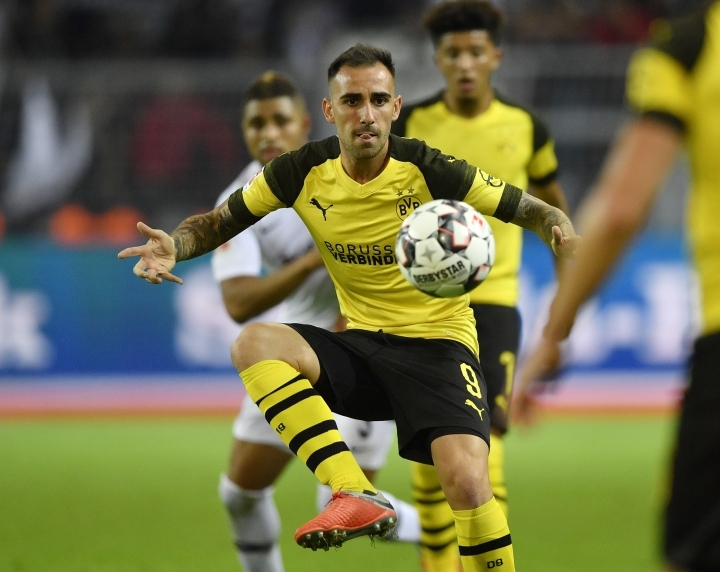 DORTMUND, Germany — Paco Alcacer thrived in his Borussia Dortmund debut on Friday, sealing the team's 3-1 win over Eintracht Frankfurt in the Bundesliga. 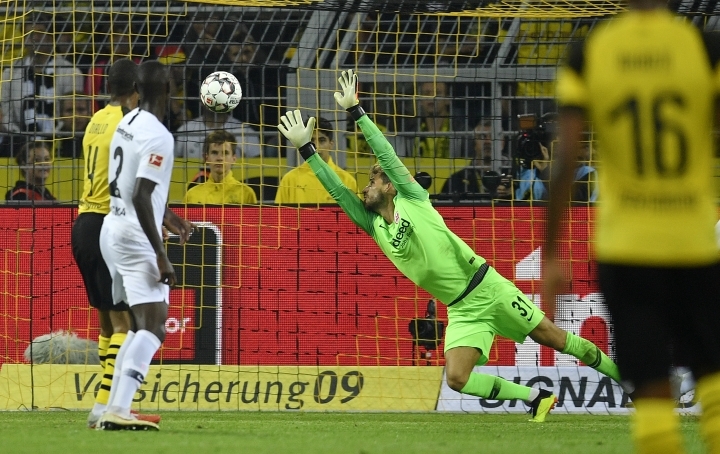 "Of course the result is disappointing," Frankfurt goalkeeper Kevin Trapp said. "We didn't allow much. Dortmund shot at goal three times and scored three goals." 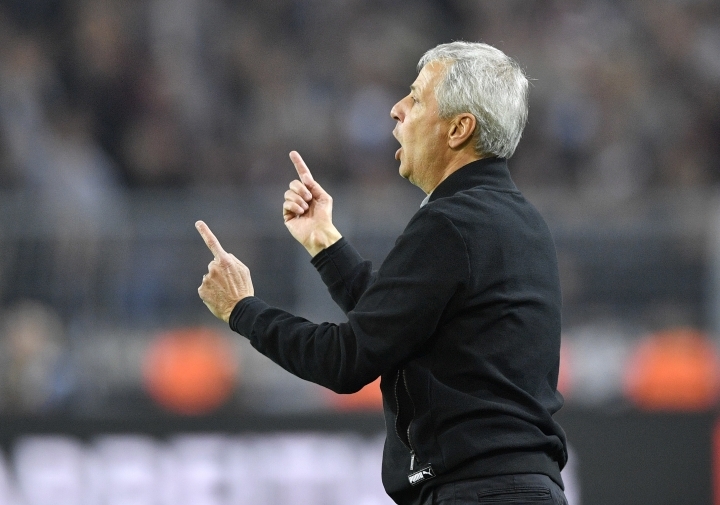 It was Frankfurt's fourth defeat in five competitive games under new coach Adi Huetter. 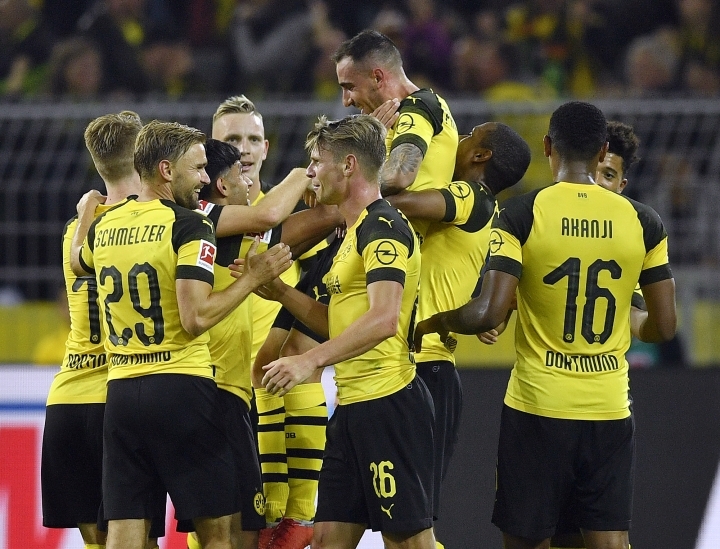 Sebastien Haller equalized with just over 20 minutes remaining, but Alcacer — who had entered the match a minute earlier — sent Sancho down the right side with a brilliant pass. The English winger eluded two defenders to set up Marius Wolf to score against his former club. 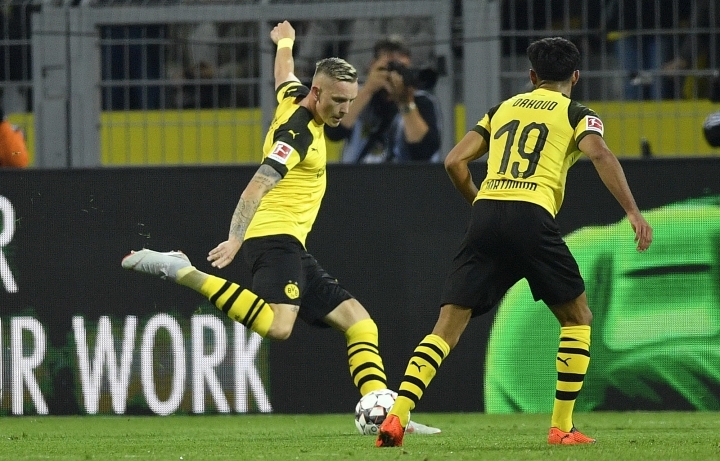 "We knew it would be a physically hard game, but we held up well against it," said Wolf, who joined Dortmund from Frankfurt in the offseason. Dortmund's Mario Goetze remained on the bench for the third consecutive game. United States midfielder Christian Pulisic was not in the squad because of a muscle injury. He had already missed Dortmund's previous game and the U.S. friendlies against Brazil and Mexico. 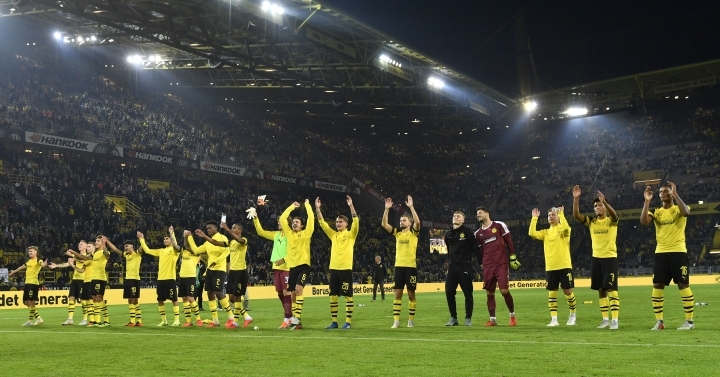 Dortmund played with jerseys with a message against racism in place of the usual sponsor's logo.